I downloaded the imore forum app to access the forums more easily but when I try to log in there is no option to log in via Google which is what I use to post on here. Is there any way I can log in with Google on the app? Not from what I gather. Is there anyway to ask for it to be added? Don’t wanna loose all the stuff on this account. Sure. I'll be sure to pass it along to the powers that be. If you set up your account with your Google credentials, why can't you enter those credentials to log in? Once I did that I could log in via iMore Forums and /or TapaTalk apps. Tried that & it didn’t work. I can’t seem to set up a username & password via that link. There is no option. Try logging in with your Google credentials then creating a user ID. As soon as I click log in it comes up with Facebook, Twitter, Google & Microsoft & when I click Google there is no option to create a username & password I get automatically logged in & im looking at the forums. Isn't getting logged in what you want to do? Or did I miss something here? Just a couple posts up is what you missed. I’ll see if I can’t find anything later on when I get home tonight. No, didn't miss anything. She contradicted herself. She was trying to log in with Google, but says when she taps on it, she's automatically logged in. Yes, the post in question is asking about logging in to Mobile Nations Passport though, not the iMore Forums app. Online, logging in via Google is automatic and taken directly to the forums, said Google login is not an option on the iMore Forums app. So being taken directly to the forums is problematic when trying to get to account settings to change the login information so the iMore Forums app can be used. 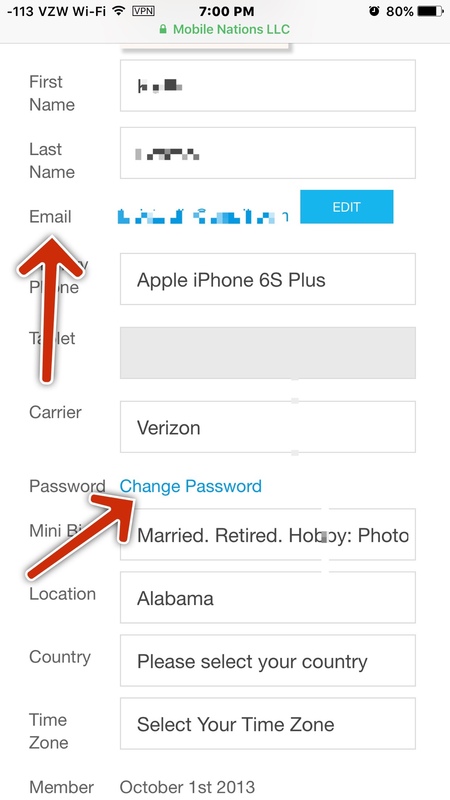 Do you see a place to enter your email address and change password? Use your Google email and password. I see that & it’s got my Google email & password in already. When I try to log in via my Google account on the imore forums app a message comes up saying log in failed there is a problem with the forum. Please contact the forum admin or try again later. That sometimes happens with any type of log in. It's happened to me before in TapaTalk. Not sure what causes it. It seems to go away though. Do you have WPS (wifi protection setup) enabled on your router? That was the cause of another person having that same issue with a forum on TapaTalk. I don’t use TapaTalk & my dad set the router up so I don’t no if WiFi protection is set up. The iMore forums app is a TapaTalk app. They work the same way. So do I have to download TapaTalk to use the imore forum app? No. They just work the same way and made by the same folks.